It has taken a bit longer than expected, but finally I have the pleasure of welcoming you to Occult Minds: the official website for my postdoctoral research project at UC Santa Barbara. For new audiences, my name is Egil Asprem, and I am a scholar of Western esotericism – an interdisciplinary field located somewhere between intellectual history and religious studies. The current project, subtitled Esotericism as Cognition and Culture, seeks to expand the interdisciplinary potential of that field by looking at how we might use insights and tools from the cognitive science of religion (CSR) and the psychology of religion to interrogate our material in new ways. On this website you can find more information about the project, keep track of results, check out links to relevant journals and websites, and more. I also intend to use this blog as a sounding board for ideas, so do check in from time to time to look for reviews of articles and books, or reports and previews of original research coming out of the project. In coming blog posts I will introduce some aspects of the projects a bit more. In this opening post, however, I want to talk about the choice of title – and the book I stole ehm, borrowed it, from. Naming the project “Occult Minds” felt a bit naughty for someone raised in a discipline obsessed with getting away from talk about homo religiosus, the “savage mind”, and the irrationality of magic and the occult. Perhaps it was lucky that Christopher Lehrich had already taken the singular with his book The Occult Mind (2007), leaving me with the somewhat less essentializing plural form. The plural in fact does fit better with the basic assumptions behind this project: esotericism and the occult cannot be understood as a specific way of thinking, nor are there clearly defined, specific, and stable cognitive factors leading people to the occult. 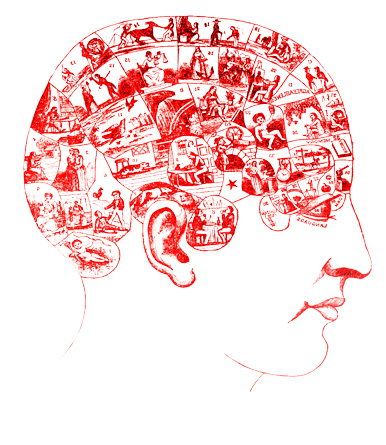 There are, however, cognitive and psychological building blocks that specific esoteric practices and occult belief systems mobilize – some of which are near universal in the human population (such as the tendency to overstretch analogical links or to attribute subjective meanings to random events), while others are less evenly distributed (such as hearing voices or seeing things that others do not). While there is no universal, trans-historical “occult mind”, we can meaningfully speak of the making of “occult minds” (pl.). Besides, it sounds kind of catchy. A big part of this project consists of charting out the cognitive resources that are utilized in esoteric contexts, and look at how they are put together in specific cases. I view it as an exercise of going from the complex to the simple and back to the complex again. One key objective in doing this is to bring existing work in the cognitive science of religion into the purview of the study of esotericism, and use these to think differently about some of the lingering theoretical problems we have had in that field – notably problems of definition, explanation, and comparison. With these ambitions, the project has an agenda rather different from that of its almost-namesake mentioned above. 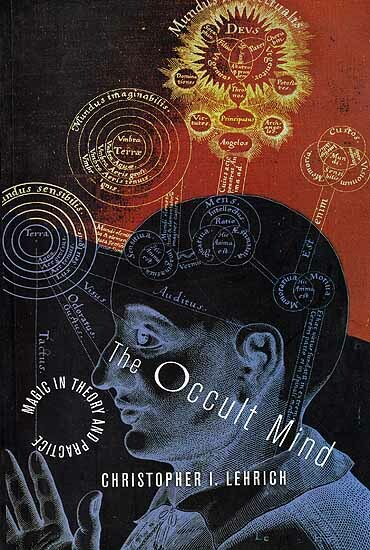 Lehrich’s Occult Mind displays a learned and highly original take on Early Modern “magic”, but despite its title it contains not a single reference to relevant studies in psychology or cognitive science. Instead its main interest is to exercise “Theory” (yes, the kind that some prefer spelling with a capital “T” – for similar reasons, I suspect, as why some people spell “religion” with a capital “R”). Here, the works of people like John Dee, Giordano Bruno and Athanasius Kircher are not so much analyzed through, as interweaved with, the thought of a select number of modern scholars and Theorizers. The chief of whom, looming large in the final chapter, is Jacques Derrida – in some sense perhaps the most occulted mind of all that make an appearance in Lehrich’s book. These exercises are entirely consistent, of course, with Lehrich’s blanket dismissal of the emic/etic distinction, the data/theory distinction and any other device that might smell of “positivism”. In its wild comparisons (spanning lay lines, serialist music, tarot, and Japanese theater) and leaps of reasoning, it is every bit as eccentric as one would expect from a book branded as “a product of a discipline that could exist but does not” (p. xiii). While my project shares with Lehrich’s book not only the title, but an explicit commitment to interdisciplinarity and comparativism and much of the subject matter as well, the types of interdisciplinary spaces carved out and, doubtlessly, the general research styles, are worlds apart. I am not sure yet if they end up contributing to the same non-existent discipline, or live parallel to each other in two separate possible universes. Maybe time will tell. This entry was posted in Announcements, Books, Occult Minds Project Update, Reflections and tagged "Theory", Athanasius Kircher, building blocks, Christopher I. Lehrich, cognitive science of religion, comparative method, Derrida, esotericism, Giordano Bruno, John Dee. Bookmark the permalink.